Secondary pupils taking exams this summer whose schools are disrupted by swine flu will be able to get "special consideration" in marking. The joint body for exam boards in the UK says if pupils cannot sit papers they could receive grades based on other evidence, such as mock exams. Five schools in the UK have been closed in the current swine flu outbreak. 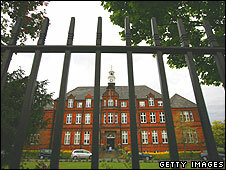 Head teachers' leader John Dunford said swine flu could be a "substantial difficulty" for the summer exams. Dr Dunford, leader of the Association of School and College Leaders, said: "This is the main issue in secondary schools, the need to have large numbers of children in the same place to sit the examinations. "I'm reasonably confident that the government and the Health Protection Authority will come up with a solution to ensure that children aren't disadvantaged. "But it is still very worrying for children and teachers." Alleyn's School in Dulwich, south London, one of those shut by fears over swine flu, says A-levels set for this week will be re-scheduled - and it will be writing to exam boards about the disruption. Paignton Community and Sports College in Devon, also closed, will be seeking special consideration from exam boards for the "loss of six-and-a-half days' education and the anxiety and stress our pupils are under at this time". "Special consideration" procedures are usually applied when pupils are ill or stressed or face personal difficulties outside school, such as bereavement. This allows for up to an extra 5% being awarded to pupils who have taken papers in adverse circumstances - or it can award grades to pupils who are entirely unable to take exams. Last year more than 300,000 exam marks were increased in England because of special consideration. If a school faced closure because of swine flu, stopping pupils taking their exams, then these procedures would come into force. If pupils have completed their courses, exam grades can be awarded which reflect "pre-existing evidence", says the Joint Council for Qualifications. This could be marks on earlier modules or course units, mock exam results and other assessments, which could be used to determine what a pupil might have been expected to achieve. So far five schools in England have been closed - three in London, one in Devon and one in south Gloucestershire - after pupils fell ill. The swine flu outbreak comes as secondary school pupils across the UK approach their public exams - and in England, primary school pupils are about to take Sats tests. In Scotland, where the exam season begins on Tuesday, the Scottish Qualifications Authority says it is "very much business as usual". But it says that if swine flu means that exams are "disrupted in any way", schools will be advised how pupils will be "treated fairly and not be disadvantaged". In England, the exams watchdog, Ofqual, says it has a contingency plan "developed to ensure that the system remains fair to all students". "Awarding bodies have well-established procedures for dealing with situations where students are unable to sit their examinations. We will ensure that any decisions taken are evidence based and that standards are not undermined." Ofqual is due to hold a meeting to assess the swine flu situation on Thursday. This could discuss issues such as allowing pupils to take exams in alternative settings. The Department for Education in Northern Ireland has issued advice for parents worried about the spread of swine flu. It says that at present, "there have been no confirmed cases here so there is no reason for schools to be affected". However the advice to parents says that if swine flu did threaten exams, there were "plans in place to minimise disruption". In Wales there have been no cases confirmed so far, but contingency plans will be in place if there are problems for exams. University students are also approaching their final exams - and the Higher Education Funding Council for England has issued advice on swine flu. It warns institutions to be ready for "trigger points" for action, such as a severe shortage of staff or disruption to public transport.